John deGraff, Inc. Clinton Corners, NY. Back in the late 80s, I was introduced to a handy little paperback, Arts of the Sailor, by Hervey Garrett Smith. I wasn’t a Sailor, but I was a reenactor, and interested in tall ship, so the book was useful to me. 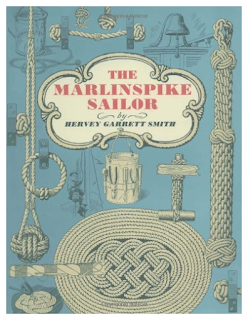 In it, however, was an intriguing reference to a book which sounded like an even greater treasure; The Marlinspike Sailor, an earlier volume by the same author. It was several years before I ever saw this other book, and that belonged to a co-worker. It lived up to the promise suggested by its mention in Arts: in it I found a wonderful guide to fancy ropework and clever decorative items, as well as useful ones. Need to learn basic knots? Smith starts there, or, more accurately, he starts with a basic introductory chapter entitled “How Rope Works”. He goes on to splices, (not as hard as they seem, once you get to understand the art of ropework) stowage, rope grommets, Monkey’s-fist heaving-lines, and even how to create a rope ladder with a single, uncut length of rope. Want to know how to rig ratlines to the shrouds, so you can actually go aloft? It’s actually pretty easy. Need to make a rope-end starter to motivate sluggardly co-workers? Smith will help you to do it with style. Want to make a ditty bag that will prevent you ever being called a ‘Landlubber’, again? That’s in there, too. Sail palms, bench hooks, seam rubbers, serving mallets, even a water jug that’ll make Mister Hollybrass jealous are all to be found in this sea-bag of tricks. At 131 pages, you’ll find plenty to fill your winter make-and-mend days, even when you ignore the last 15 or so pages, on modern rope. 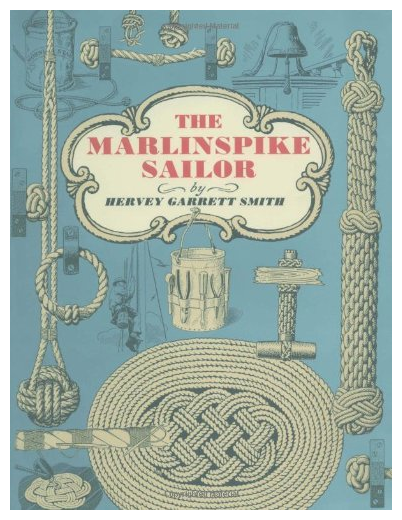 Whenever people post questions asking for books that will help their Sailor impressions, or even just enrich their next voyage through the Aubrey/Maturin series, I always recommend this one. It’s not currently in print, but it can usually be readily found via the various online book dealers, at a reasonable price. You’ve put a lot of time and effort into your best shore-going rig: this book will help you to take it all the way to the t’gallant, and beyond.